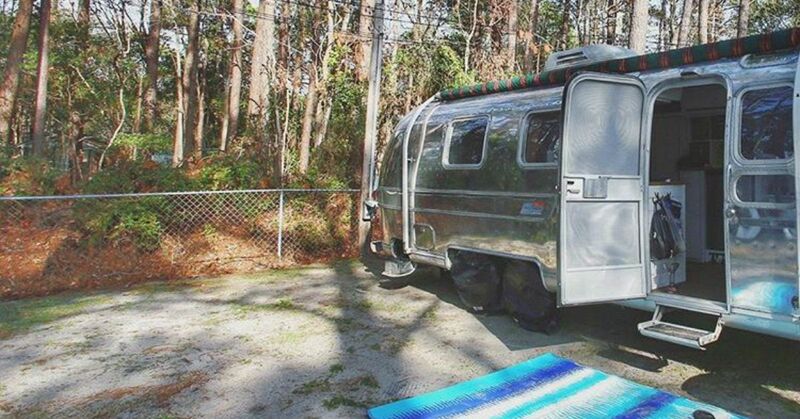 Airstreams never go out of style. In fact, they can only get more stylish with age. At least that is what it feels like when you take a peek inside the immaculately designed interior of Mavis the Airstream. While Mavis is over 40 years old, you would never be able to guess while watching him drive past you on the interstate and especially not if you get a chance to look inside. Sheena and Jason are a happily married couple from Atlanta, Georgia. 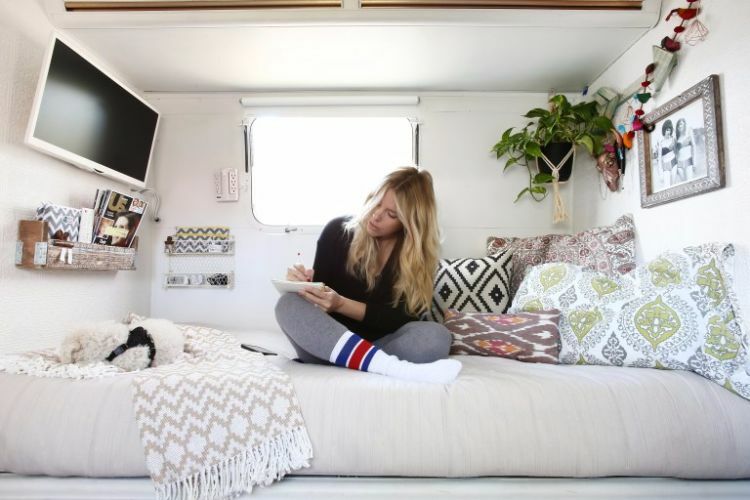 They took on their vintage Airstream renovation as a way to live simply and most importantly: debt free. With experiences over stuff in mind, the couple has set off on an adventure of a lifetime. Not only did they learn a lot in the process of remodeling but they want to share their experiences and expert insight with others. Check out Mavis below. 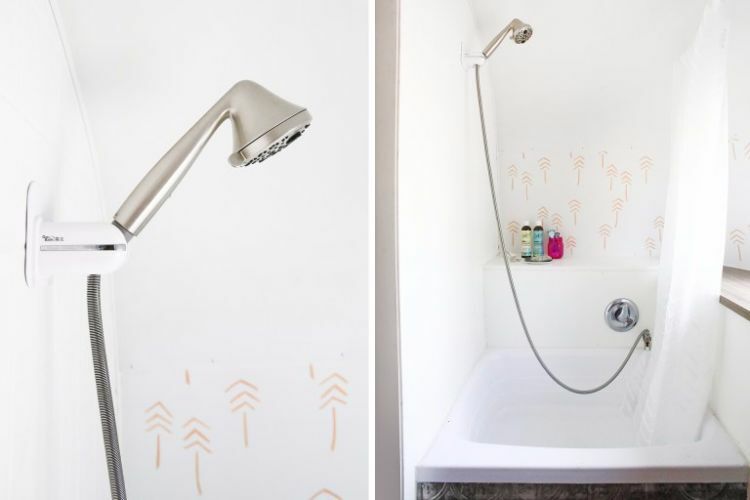 Everything has to have a purpose when you only have 200 square feet. This is apparent from the moment you step in the door and see this adorable antler shaped rack for bags and keys. A complete remodel of the kitchen was necessary. Everything came out including the cabinets, counter, sink, oven, and stove. With wooden countertops and a lot of white, the space looks a lot more modern. Replacing the oven and stove with an electric cooktop not only eliminates the problem of dealing with propane but stores away easily to save space. Not only is the living room stunning in its mixture of bold patterns and live plants that give it character but it is completely versatile and makes the most out of its small space. Who ever said two twin beds wasn't the answer to a happy, healthy marriage? We absolutely love what the couple has done here with the two beds as well as the gorgeous wooden door that leads to the bathroom. Each bed nook is customized to the person. Hooks for clothes, racks for books, television for movies, each has everything one would need while relaxing in bed. 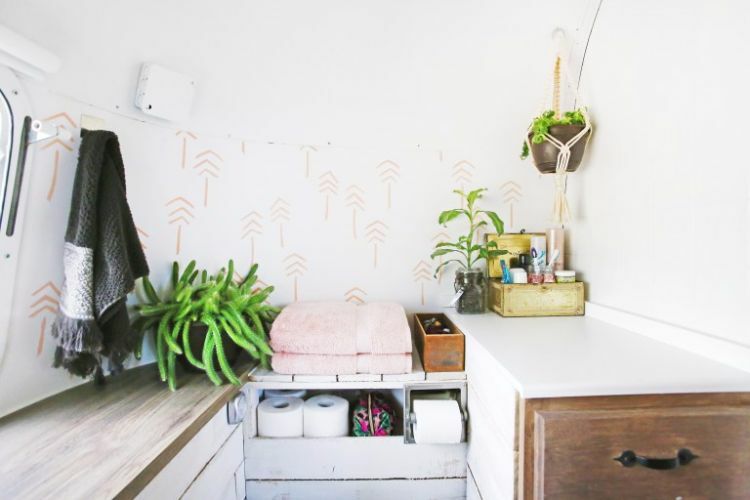 For tiny living, this Airstream sure does have an amazing bathroom. This tub and shower combination is ideal for all RV owners. Turn around and you will be just as impressed by the counter space and wall decoration. Could this place get any cuter? 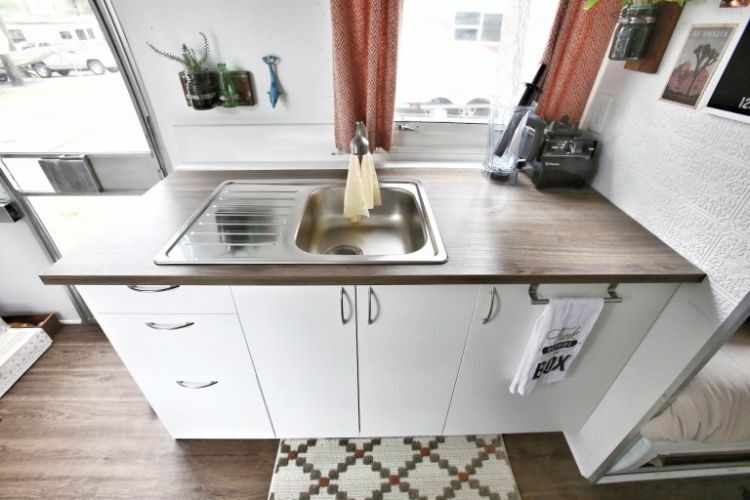 Don't forget to share this amazing Airstream renovation with your friends on Facebook, Pinterest, and Twitter! This silver charmer is bound to please your soul. This extravagant Airstream is an incredible example of Dubai's thriving entertainment scene. The Big Sur Getaway camp features this beautifully renovated Airstream, perfect for vacationers looking for both adventure and luxury. Ozark Tiny House outlet is a one-stop-shop for your smaller living dreams. This Skyline Park model offers all of the luxuries of a traditional home. This rustic park model has the quintessential cabin design. 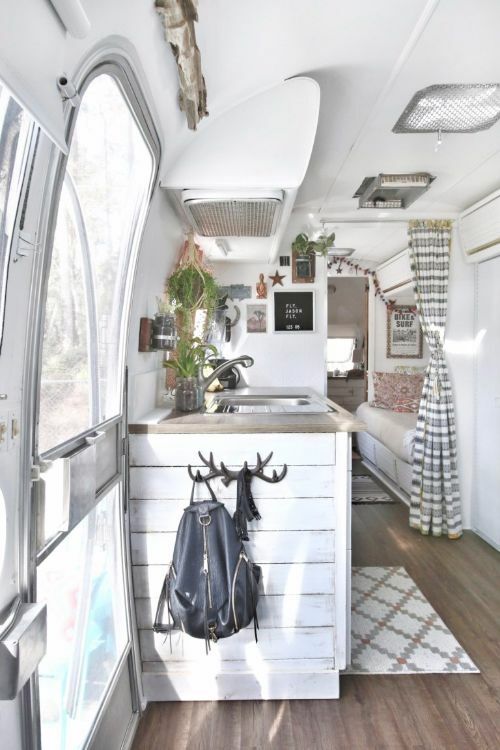 This 1973 Scotty trailer is available to rent in Washington, D.C.